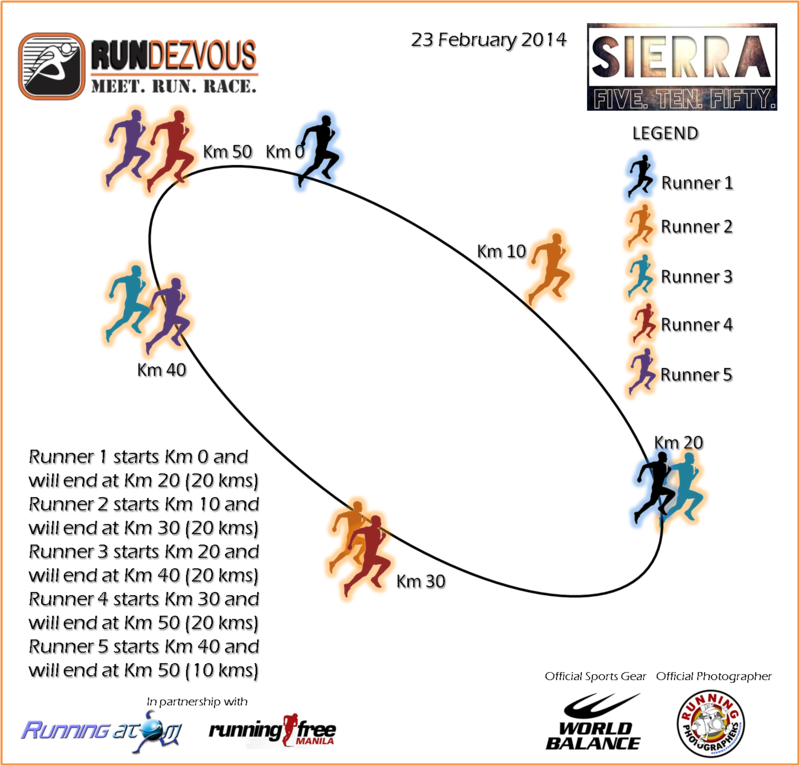 Sierra 5-10-50 is a race that promotes camaraderie among teams and groups. 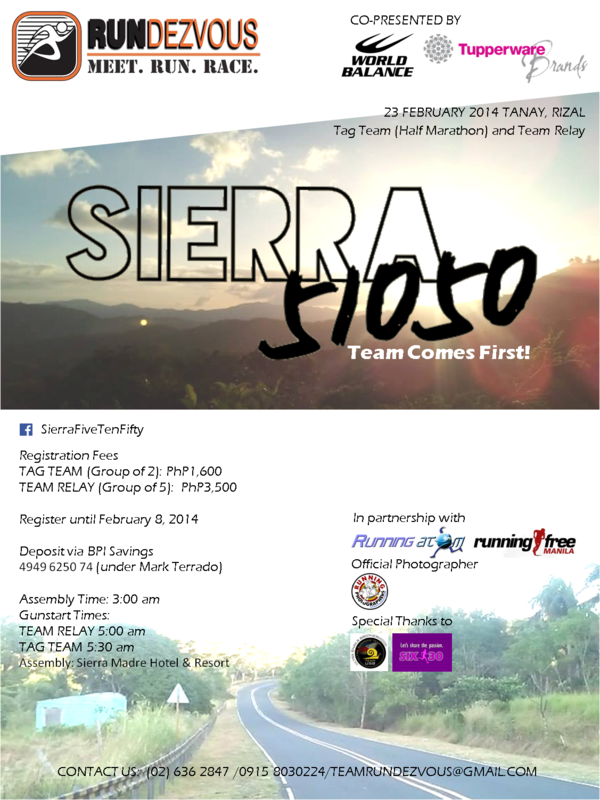 Organized by Rundezvous Inc, with cooperation from Running Free Manila and Running Atom, the event will be held on Febuary 23, 2014 at Tanay, Rizal with assembly at the Sierra Madre Hotel and Resort. 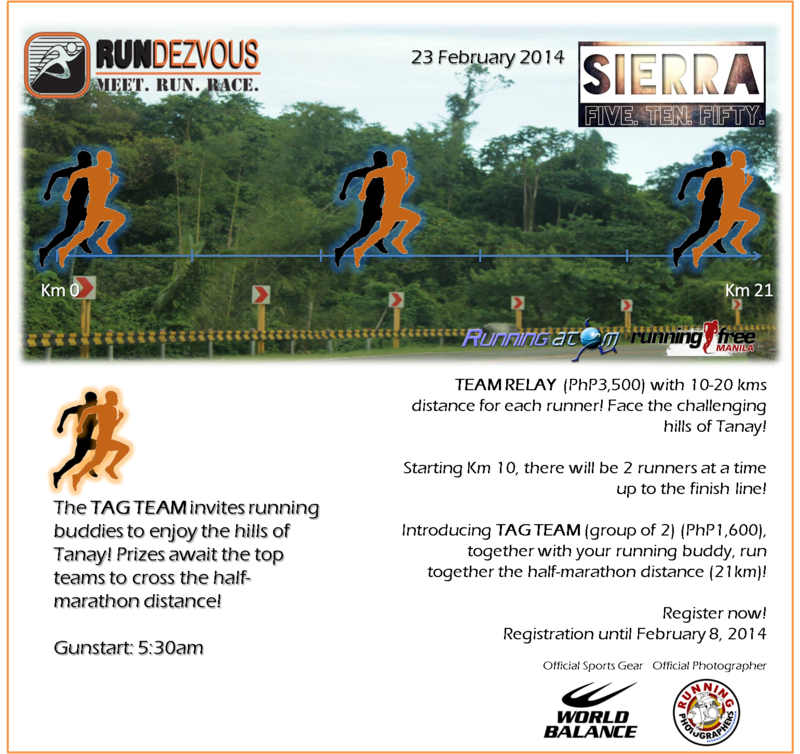 The event features two categories: Team Relay with 5 members and a Tag Team relay with 2 runners.